Huffington Post Media Group President and Editor-in-Chief Arianna Huffington on Thursday presented the soon-to-launch “Huffington Post Greece” at an event in the Acropolis Museum in Athens, saying she was very moved to be bringing the news website to the country where she was born and “where my heart is”. 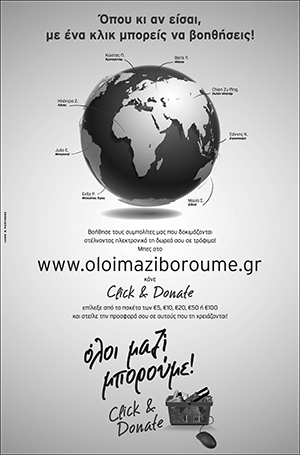 The launch in Greece is taking place in cooperation with 24Media and intends to “cover all issues happening in Greece” while offering a platform for everyone, in all walks of life, to write and talk. “We want to give everyone a voice and for this to be transported to the entire world. Greece is a part of the world and we want to ensure that all the amazing things that are happening here are known,” she said. Shortly before the start of the event, a protest was held by members of the group “Occupy ESHEA” who distributed a flyer accusing the Huffington Post of exploiting labour. Huffington Post Media Group President and Editor-in-Chief Arianna Huffington met with Republic President Karolos Papoulias and she said that Greece should reject the demands of its troika of lenders. “It will be very important to say ‘no’ to the troika. It was very important when we said ‘no’ to Mussolini. I’m not saying that it is the same, not at all, but it is important now to put people first, because there is a lot of pain,” the well-known Greek-American businesswoman said. “Many times the troika shows a toughness as if it is addressing itself to rocks,” President Papoulias noted. 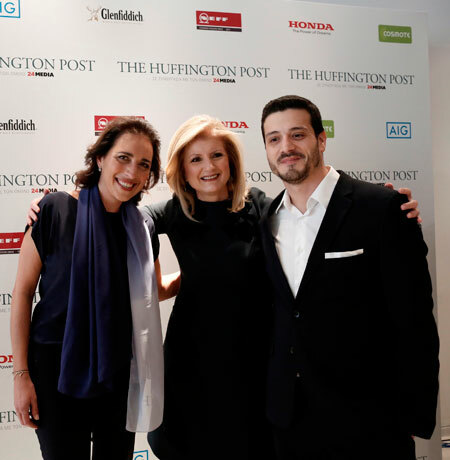 Arianna Huffington expressed joy for returning to Greece after years for the launch of “Huffington Post Greece” – which she presented at an event at the Acropolis Museum earlier – and said that she was moved when she visited her old school, the Hill School in Plaka, downtown Athens. She offered to the president her recently published book and a book written by her father, Constantine Stassinopoulos, when he was arrested by the Germans and held in a concentration camp during WWII.